Although the NDA keeps the majority of the industry in the dark, Carbine Studios has been open in their developer blogs to keep the general public knowledgeable about the major changes happening behind the scenes in WildStar. Today they finally confirmed rumors of changes to the leveling system, and while not at groundbreaking as some of the features demonstrated in their DevSpeak series, they are certainly changes you’ll appreciate subconsciously as playing through the game. Convenience is on tap! 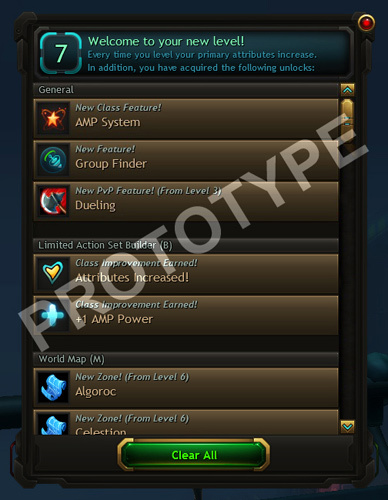 Leveling: Previously leveling up opened quite a bit for players in WildStar. Perhaps too much as some players would overlook half of what happened. Or spend time digging through countless menus and exploring places in Nexus they had been before to see what was new. Now a convenient pop-up offers all the info you’ve unlocked in one fast and furious package. Ability Sorting: Picking abilities was overwhelming before. Now not so much. 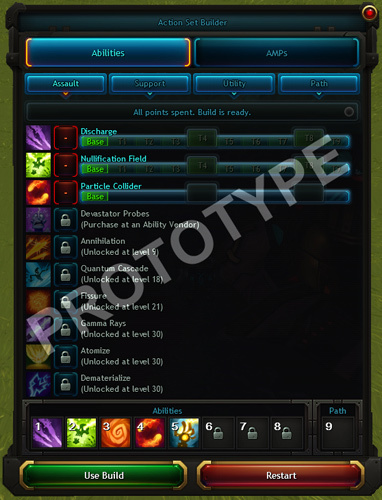 Players can see what abilities are available, what purposes they serve, and even filter out the path abilities into a separate group so they aren’t confused with combat skills. Again, convenience. 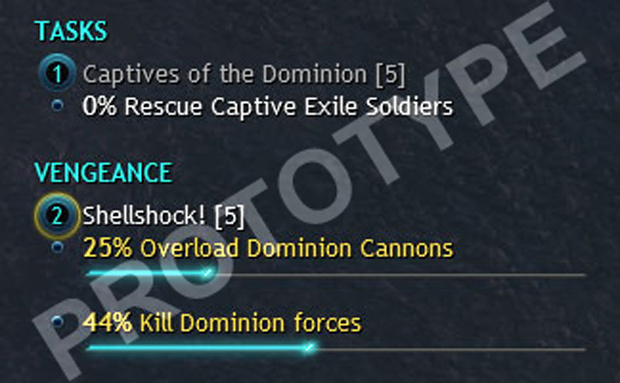 New Quest System: This improvement seems to be glaring evidence of NCSoft backing this game and Guild Wars 2 as the new system brings in a lot of the convenience GW2 offers with public PvE elements. Now players will be pushing progress bars rather than grinding out quests with eyes glued on the kill count or gather count reaching that magic number. What’s more, players who perform epic actions related to the quest will gain a much larger push towards completing the bar, allowing you to take things slow and steady or get risky and wild to save time. And don’t worry about jumping in with someone you aren’t partied with to get your quest done, as both will receive kill credit towards their individual quests. Killstealing never felt so rewarding! The full details can be read on the official notes here. Just be ready for a wall o text! Very real danger awaits in Ring of Elysium today as it hits Steam, with its dynamic weather systems and avalanches.